It is good that a man should both hope and quietly wait, for the salvation of the LORD. 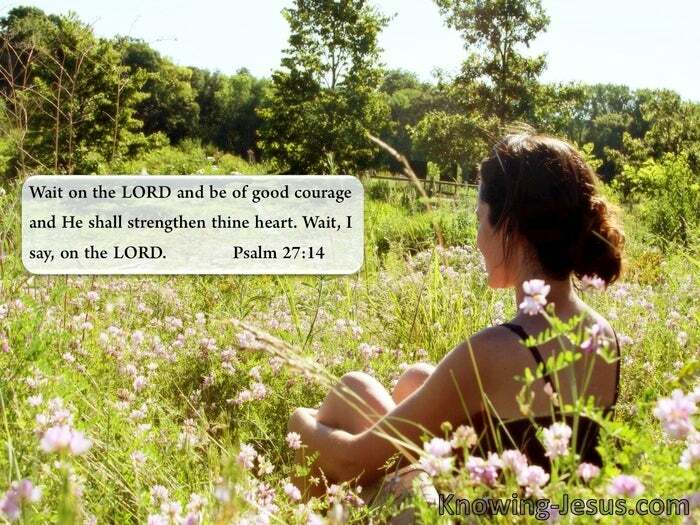 Wait on the LORD and be of good courage, and He shall strengthen thine heart. Wait, I say, on the LORD. Sit still, my daughter, until you know how the matter will turn out. Day after day with unfaltering step and steadfastness of spirit, Elijah sat still and watched the dwindling brook, and waited. Week after weary week with steady gaze and tireless heart, Elijah sat still and watched his life-giving brooklet cease its babbling flow. And Elijah trusted God and Elijah waited. And Elijah sat still and watched the little stream become a sliver thread. And Elijah sat still and watched the silver thread reduced to a standing pool. And Elijah sat still and watched the standing pool shrink to nothing on the dusty earth. 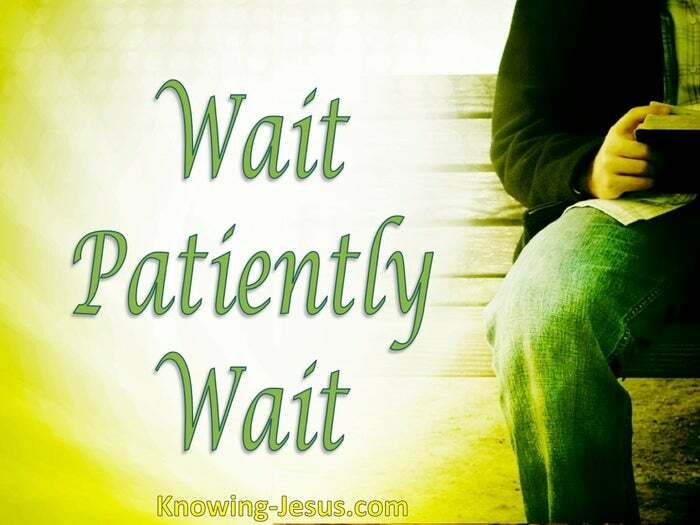 And Elijah sat still and trusted God – and Elijah waited. 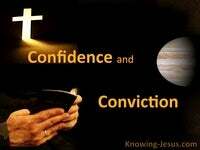 How often must he have been tempted to stagger through unbelief. How often must his circumstances have caused his deep resolve of trust to sink into despair – into unbelief and wavering at God’s promise. But Elijah trusted God – and Elijah waited. Yet Elijah refused to allow the visible circumstances… circumstances that screamed at him through all his senses and logic.. he refused to allow them to come between himself and the promise of God. 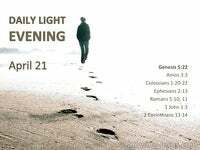 Elijah trusted God – and Elijah waited. Elijah refused to allow the visible circumstances of diminishing means.. that morning by morning God would provide for him, with bread and flesh.. that evening by evening God would sustain him with cooling refreshment, as he drank of the Brook Cherith. Elijah refused to allow them to come between himself and the promise of God: thou shalt drink of the brook, and the ravens will bring you food. And Elijah sat still and watched the streamlet become become a sliver thread. And Elijah sat still and watched the silver thread reduced to a standing pool. And Elijah sat still and watched the standing pool shrink to nothing on the dusty earth. And Elijah trusted God, and Elijah waited. As the birds of the air fled from the parched earth and the wild animals of field and forest came no more to drink.. as the streamlet became a sliver thread… and the silver thread reduced to a standing pool.. and the standing pool shrank to nothing on the dusty earth, and the brook Cherith was finally dry. Elijah still trusted God. Only then, when all around seemed barren and destitute.. only then, when all the familiar helps had sped away.. only then, when all the senses screamed, Ah woe is me – that with patient heart and unwavering spirit: the word of the Lord came to Elijah, saying: arise, get thee to Zaraphath. For Elijah trusted God and Elijah waited. Would you have gotten anxious with forward plans – would I? Would you have sought some other ground to plant your feet – would I? Would your heart have failed within you and would mine, as you imagined what was coming on the earth..as the shrinking streamlet ceased its merry flow? Would you have paced up; down and to and fro upon the withering grass? Would your brow be furrowed with devising some plan to ease your mind? Would you perhaps have even sought His blessing on these hasty designs. Would I? What lessons good Elijah demonstrates to us in these latter times, as we reflect on his unwavering steadfastness of faith. And Elijah sat still and watched the streamlet become a sliver thread, and Elijah sat still and watched the silver thread reduce to a standing pool – and Elijah sat still and watched the standing pool shrink to nothing on the dusty earth. And Elijah trusted God – by faith. And what shall I more say, as we are reminded in Hebrews 11:32.. for the time would fail me to tell of Gideon, and of Barak, and of Samson, and of Jephthah – of David also, and Samuel and of the prophets ……. of Elijah!!! God will often extricate us from the difficult situation and the crisis circumstance, for His love endures forever. But if only we would sit still and calmly wait for His unfolding plan, we would likely not discover ourselves lost in the labryinth of self-made plans – that fain would rescue us from our God-permitted circumstance. Sit still, my child! Just sit calmly still!